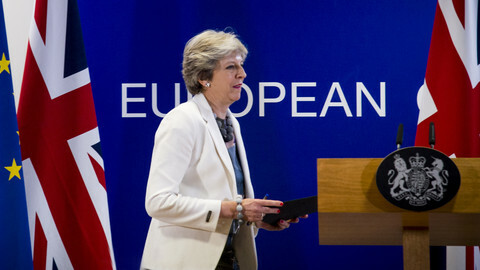 The UK and the EU have reached agreement on a draft Brexit deal, after British prime minister Theresa May's cabinet backed the text on Wednesday (14 November). The 585-page long document emerged after 17 months of negotiations. It ends over 40 years of UK membership, but keeps the UK tied to EU rules on trade until at least 2020. 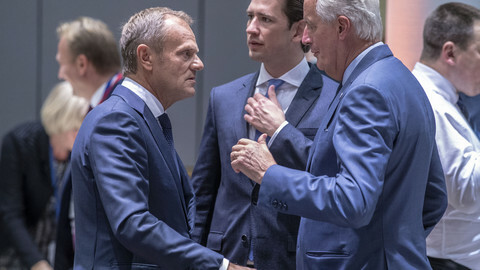 The European Commission said the same day the talks had reached "decisive progress" - a phrase that triggers a meeting of EU leaders, possibly on 25 November, to seal an EU-wide accord. The deal also faces other procedural hurdles - it needs to be ratified by the divided UK parliament, and the European Parliament. 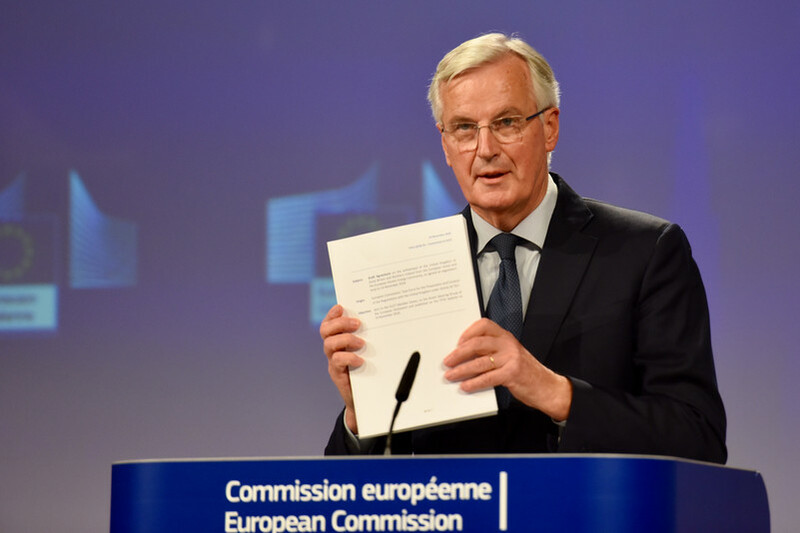 But the EU's chief negotiator Michel Barnier told journalists on Wednesday that "this agreement is decisive - a crucial step in concluding these negotiations". It is designed to pave the way for an orderly British exit on 29 March next year. 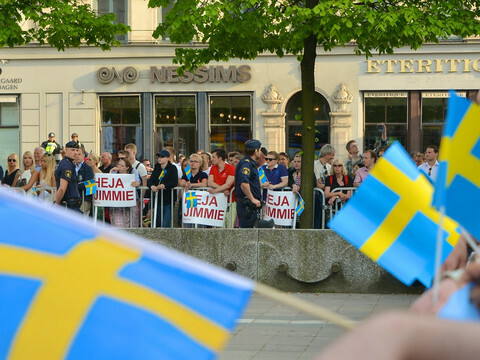 It is also to be followed by a transition period lasting until the end of 2020, to give enough time for citizens, administrations, and businesses to prepare for change. The transition period can be extended once, according to the draft text. The agreement overcame the conundrum of avoiding a hard border between Ireland and Northern Ireland by creating a single EU-UK customs territory, essentially keeping the UK in the bloc's customs union, and with Northern Ireland aligned more closely than mainland Britain with EU customs rules. 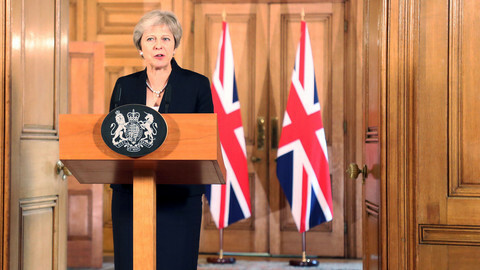 The deal was meant to avoid a solution that carved out Northern Ireland even more deeply in legal terms, creating potential trade barriers on the Irish Sea's maritime border - a red line for May's Northern Irish allies, the Democratic Unionist Party (DUP). That so-called 'backstop' will now kick in only if the two sides cannot come to an agreement on a future trade deal. That decision will have to be made in July 2020 - whether to extend the transition period until the end of 2021, or to put the backstop in place. The backstop might also enter into force at the end of 2021, if the extension expires with no new trade pact in hand. "Let me repeat that this backstop is not meant to be used. Our objective remains to reach a new agreement between the EU and the UK before the end of the transition," Barnier said. The July 2020 decision on the backstop does not mean the EU and the UK postponed the decision on the Irish border, he added. "We are not pushing anything back, we are taking things in the right order," Barnier said. The draft agreement also says Britain cannot leave the UK-EU customs union unilaterally and that it would adhere to EU state aid, competition, taxation, environmental, and social standards, in order to secure a level playing field between the UK and the EU. Irish prime minister Leo Varadkar said on Wednesday that the deal reached a "satisfactory outcome on Irish priorities". The draft agreement, which contains 185 articles, three protocols, and a series of annexes, also guarantees the rights of EU and UK citizens. 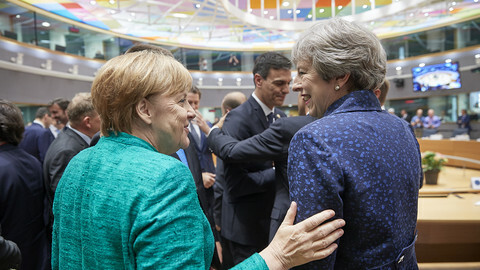 It stipulates that the UK needs to pay into the EU budget until the end of 2020 and will have to continue paying if an extended transition kicks in. Meanwhile, the EU's top court, the European Court of Justice (ECJ) in Luxembourg, will retain its role in interpreting EU law. Any disputes on EU legislation will have to be referred to the ECJ - an institution which hardline Brexiteers despise. 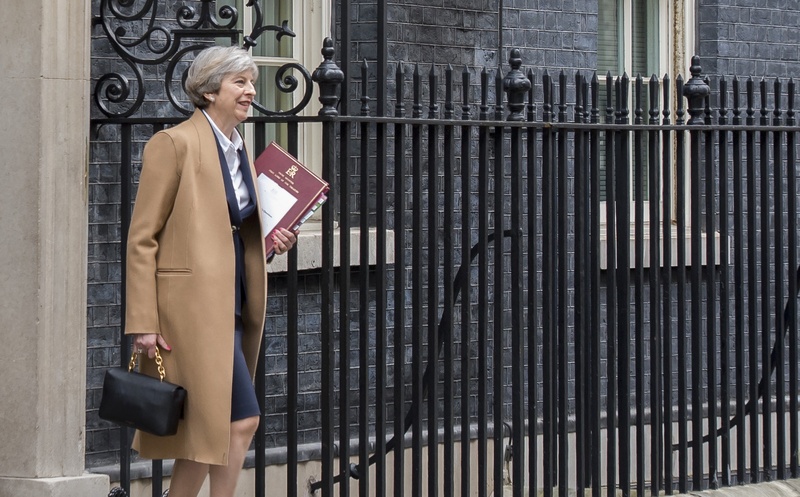 "The collective decision of the cabinet was that the government should agree on the draft withdrawal agreement and the outline political declaration," May said, after a five-hour meeting on Wednesday, where a majority of cabinet ministers approved the deal. But despite the breakthrough, the Brexit agreement is not yet a done deal. 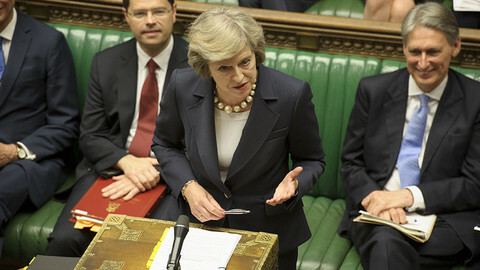 May is facing a divided UK parliament, where the agreement will have to pass, in a vote expected in December. On the EU side, the EU parliament's top Brexit man, Guy Verhofstadt, welcomed the agreement as positive progress, but Barnier has yet to brief MEPs dealing with Brexit on the details of the accord on Thursday (15 November). Officials from the 27 EU countries also have to comb through the massive text, with EU affairs ministers possibly gathering in Brussels next Monday (19 November) to prepare a meeting of EU leaders for the following Sunday. "This Brexit deal is an important step forward but ... we're not there yet. We will now analyse the texts carefully in order to check their compatibility with our European values. It is vital that the UK and Europe remain stable partners," Belgian prime minister Charles Michel tweeted on Wednesday night. Varadkar also said that Wednesday was not the end point of negotiations. "The full text of the Withdrawal Agreement - all 500 pages - will be scrutinised in the coming days. There is still a long way to go, but I believe the draft agreement published today is a very solid step on the journey," he said. The Dutch foreign minister, Stef Blok, said the Netherlands will examine both the withdrawal accord and its political declarations on future relations, paying special attention to having a level playing field on competition and on fisheries. 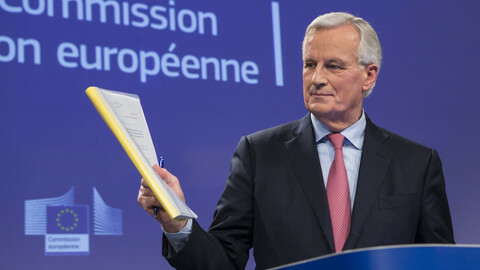 Barnier, for his part, told reporters that he did not feel self-satisfied or smug at the end of the talks because he still regretted that Brexit was going ahead. "Yes, the UK will be a third country, however, we will remain neighbours, friends, allies, and partners," he said.